Summer’s heat is almost a memory as fall’s beauty sets in. You might want to watch the leaves fall in perfect harmony, but its actually time to get some work done. Autumn is the perfect time to work through your home’s maintenance checklist. Winter’s fury will arrive soon, and you want to be prepared for anything. Preparing for winter can start with some caulk in your tool chest. Any cracks around the foundation or walls can slowly grow in size as temperatures change from cool to downright cold. Neglected cracks can become havens for pests while dislodging the structure’s balance as well. Use the appropriate caulk for the exterior cracks. Fill them in with a generous amount of caulk, and allow it to cure for several days. The house will look improved with fewer drafts into the interior. 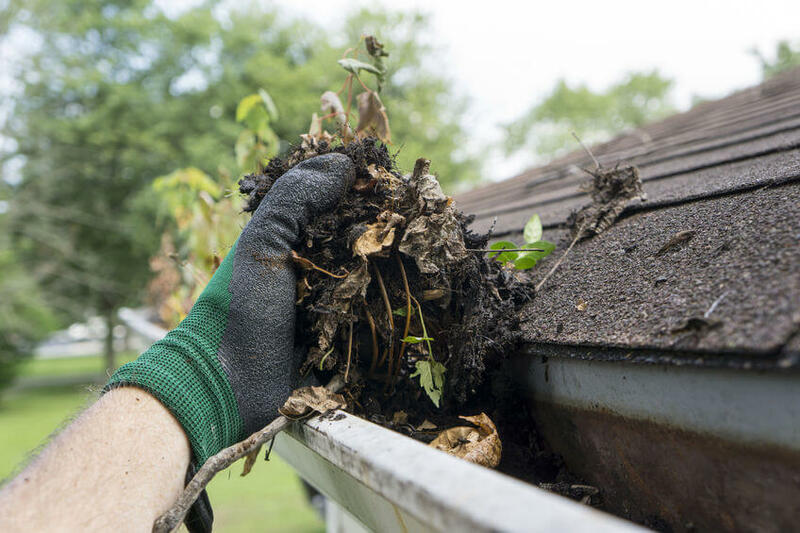 Give Waggoner Property Services a call, and we’ll help you clean out those gutters. It’s a gorgeous sight when the leaves fall from the trees, but the debris will usually fill up your home’s gutter system. Keep rain, hail and snow moving off of the roof by hiring us for your gutter-cleaning needs. We’ll blow out the debris and collect it if desired. Clogged gutters cause major damages throughout the winter so cleaning them on a regular basis is crucial. Preparing for winter also includes tool care. Take a look around your yard. Collect every tool that seems to have wandered across the lawn, such as mowers, drills and hand tools. Create a clean area in a shed or garage for every item. They cannot be left out in the weathering elements. You’ll simply damage them over the course of winter. Your maintenance checklist should also include the removal of fuel from mowers and power tools so that no corrosion occurs. Neglecting any of these chores will create problems when you try to use the tools in the spring. Waggoner Property Services is pleased to offer snow-removal appointments throughout the winter. You may want to schedule your removal in the fall, however. We can prioritize your street or property when the snow finally falls. Although you can rely on the city to clear streets to some degree, our professionals will concentrate on your needs first before moving onto the next customer. The family may have cut down a tree or two this year, and the stumps remain on the property. Ideally, allow our professionals to remove the stump. This eyesore can become a home for pests over the fall and winter. As spring and summer arrive, you might have bugs venturing into the home. We remove the stump and fill in the hole with soil. In the spring, you can plant another tree or garden to complete your exterior decor. Leaving the stump in place will only cause problems over the years.